Home Why was the Defender’s colour changed? Why was the Defender’s colour changed? 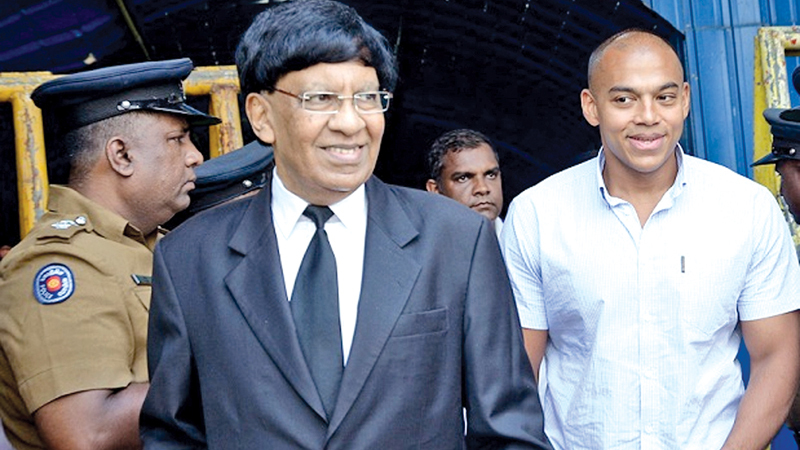 The Criminal Investigation Department (CID) yesterday interrogated former President Mahinda Rajapaksa’s second son Yoshitha Rajapaksa on the reason to change the colour of the defender jeep of the Siriliya Saviya Foundation. Information had been received that Yoshitha Rajapaksa had taken the vehicle for his use. The CID investigations into the alleged murder of ruggerite Wasim Thajudeen revealed that the colour of the jeep had been changed after the Red Cross donated it to the Siriliya Saviya Foundation. The CID said that Thajudeen had been killed though it was initially purported to be a road accident near Shalika Grounds, Narahenpita. The criminal case is now being heard in court. The CID has revealed that the said jeep donated by Red Cross Society to the Siriliya Saviya Foundation in 2011 was allegedly used in the abduction and murder of Thajudeen in 2012. The CID had also recorded statements from Red Cross Society officers in this regard. Former First Lady Shiranthi Rajapaksa was also questioned by the CID on Tuesday on this jeep. Yoshitha Rajapaksa arrived at the CID premises at 9 a.m. and came out around 1 p.m.
Rajapakse crooks have changed the colour of whole Sri Lanka judicial system and the police department, even the DIGs are getting remanded and jailed and are very keen in committing crimes. The helping hambantota filth didn't do it but know who did. Why these cases dragging and take so long to gives a judgment and finished it off , because of their political background and past president's son. Should know before these matters they also like other normal citizens in the country . What is the difference now ? , Are they beyond other citizens in the country who brought them to power . And also any other person in the country who has been faced for these types of incidents will not gets the same treatments , that's why it calls the differences of the country's law . If the law is genuine , justice is same for everybody . That is why the emblem of the law is blinds folded woman carrying a scale to listen equal without seen anybody and to gives a respected lawful judgment . Sad to see and hear this types of unbelievable incidents .